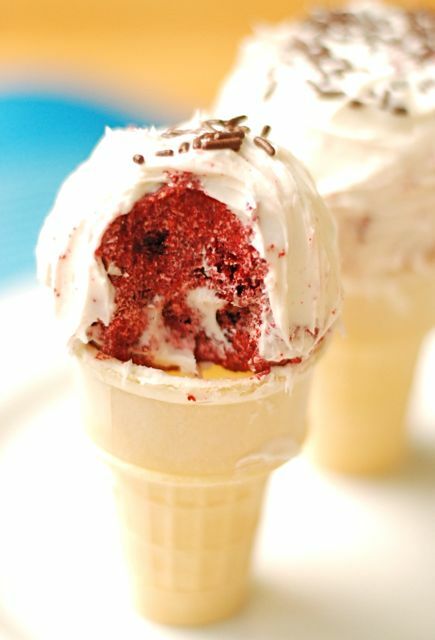 Foodista | Red Velvet Cake Pops in a Cone! The Family Kitchen does it again! Just in case you didn't think the cake pop craze could get any better - just add red velvet batter and you have an instant hit! While this delicious idea alone may not be worth a note to you, dear reader, the ice cream cones certainly did. 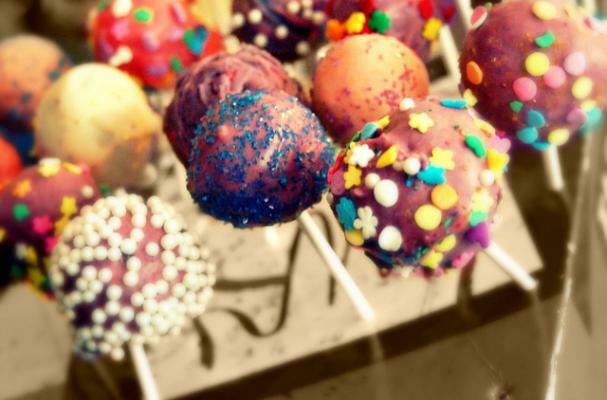 While the essence of a cake POP may be the lollipop stick, everything is better on a cone -- genius! The whole thing is incredible, edible and a super convenient snack. While author Kelsey Banfield used cake cones, seen below, which are perfect for little hands, imagine a presenting these in sugar cones, displayed on a gorgeous rack at the center of the dessert table - it's a beautiful image!